During Wednesday’s Nevada Athletic Commission meeting, veteran MMA referee Herb Dean, who UFC president Dana White previously dubbed as “the best referee in the business,” was once again appointed as the third man in the octagon when UFC light heavyweight champion Daniel Cormier and former champ Jon Jones collide at UFC 197, much to Cormier’s dismay. Dean served as their referee 14 months ago when Jones dominated Cormier at UFC 182 to retain his title. Cormier’s primary beef with Dean is that he allowed Jones to clinch him against the cage for what Cormier believes to be extended periods of time. “DC” thinks Dean allowed Jones to get away with stalling in their highly anticipated grudge match. “We should have been broken up a couple of times,” Cormier said at Wednesday’s hearing. It didn’t take Jones long to catch wind of Cormier’s perceived complaining. “Bones,” however, took a different take on what transpired during their clinches at UFC 182. In a quick recap, Jones was suspended by the UFC and stripped of his belt following April’s felony hit-and-run arrest. It was the latest legal hiccup in Jones’ growing rap sheet. 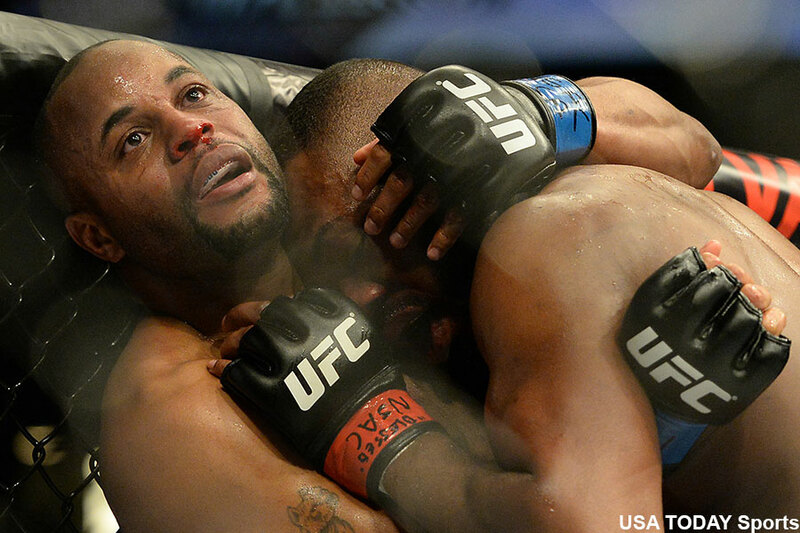 Cormier claimed the vacant crown by beating Anthony Johnson. He then successfully defended the throne against Alexander Gustafsson in October. Jones was reinstated by the UFC in October after copping a plea by avoiding jail time. Which leads us to April 23, when the most decorated light heavyweight champ in UFC history looks to reclaim the hardware that he never lost in the cage. While they haven’t fought in over a year, the beef between the bitter rivals is sizzling hotter than ever. UFC 197 should be interesting, especially since the pre-fight chatter should intensify as showtime draws near.